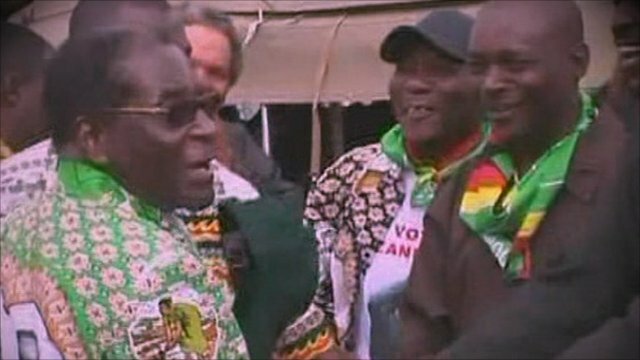 Mugabe's desire to stay in power Jump to media player Zimbabwe's President, Robert Mugabe, tells the BBC of his desire to remain in power. 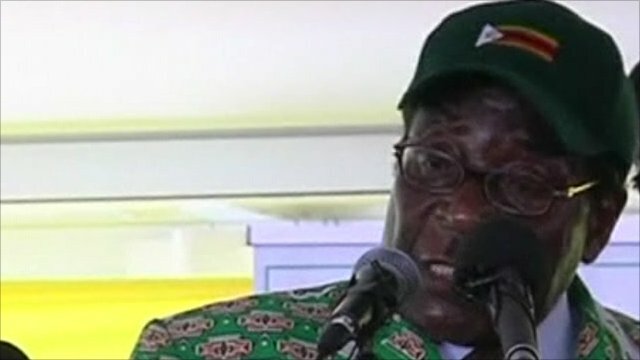 Mugabe hints at election date Jump to media player Zimbabwe president Robert Mugabe has hinted that elections could be held in the first three months of 2011, even though the referendum on a new constitution is yet to be finalised. Mugabe threatens US and UK firms Jump to media player Zimbabwe's President Robert Mugabe says his country will nationalise all US and UK companies operating in the country unless Western sanctions are removed. 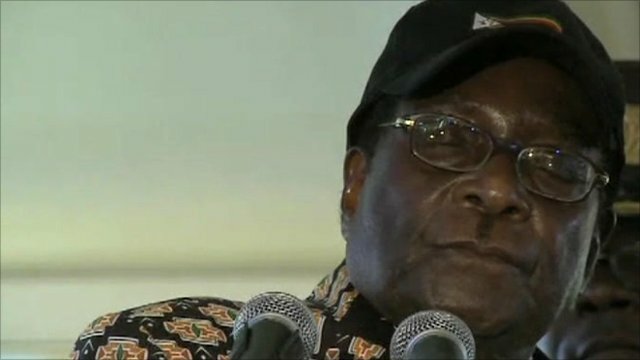 Zimbabwe's President Robert Mugabe has told the BBC of his desire to remain in power after his party endorsed him as an election candidate. On Saturday he closed his party's conference, saying that the power sharing deal with the MDC party is now dead. The BBC's Southern Africa Correspondent, Karen Allen, reports from Zimbabwe.